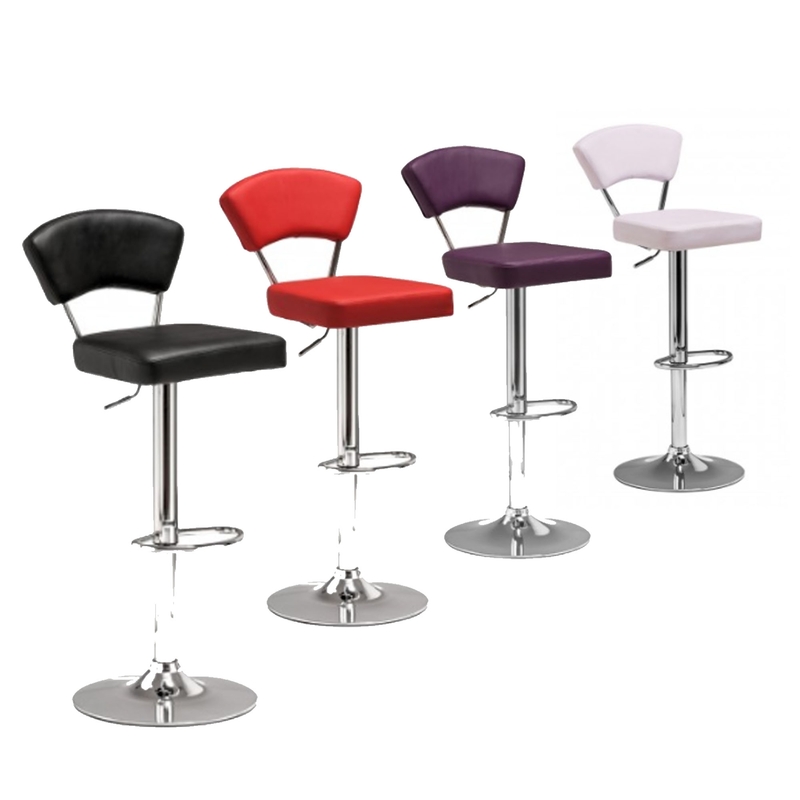 This is a gorgeous bar chair with a stunning array of colours. The colours that are available are black, red, white and purple. All of these colours are very modern and tie in perfectly with the contemporary style. It has a padded leather effect which makes this chair comfortable. It also has an adjustable height and a sturdy, metal base.